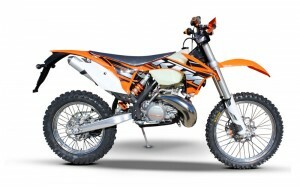 Most lenders don’t offer secured finance for off-road bikes. For example, the banks tend to only provide the more expensive unsecured personal loan option. However, Best Loans has multiple lenders who are happy to help you with secured finance. It only takes 5 mins on the phone with one of our loan specialists for them to collect all the information they need to find the best off-road/dirt bike loan for YOUR circumstances. Loans for 2 & 4 wheeler off-road/dirt bikes. Finance for new and used bike purchases. Fire & theft insurance available. Multiple lenders give you more choices. No-deposit finance to approved purchasers. To get your loan quote started, just complete the simple form and one of our loan analysts will be in touch with you ASAP. We Compare 21 Lenders To Find The Best Loan For You. Get Started Now.